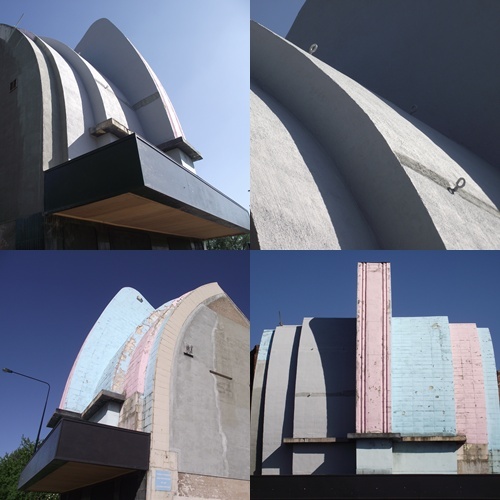 May restoration update – two sides to every tale? The scaffolding is down on one half of the frontage but the other half remains untouched, so the building has a split personality right now – one side new and smooth, the other side peeling and bumpy! Unusually, the original tiles on the frontage have been plastered over. Wonder what the hooks are for? Previous Previous post: Restoration of the building frontage seems to be under way!